Buick isn’t a brand typically associated with high performance or a younger demographic. Recent steps to change that have included the Regal Turbo, the Regal GS and the new Verano Turbo, but these cars are best described as “sporty.” None will out-accelerate a current Ferrari, and (sadly) none is likely to be remembered two-and-a-half decades from now. Back in the 1980s, Buick was faced with the same challenge, namely how to get new customers behind the wheel of Buick automobiles. The solution was the Regal Grand National, a car that debuted as little more than a trim package in 1982. It dropped from Buick’s lineup in 1983, but returned in its beloved and murdered-out form in 1984. A “strange and curious misfit” had been born, and the legend of the Buick Grand National began. Launched with a turbocharged 3.8-liter V-6 rated at 200 horsepower and 300 pound-feet of torque, stock Grand Nationals could easily beat Camaros and nearly run with Corvettes in the quarter mile. Development of the engine continued, and in 1986 the Grand National was making 245 horsepower and 355 pound-feet of torque. A final “factory tuned” version launched in 1987, and the GNX pushed the performance envelope even further, making a conservatively-rated 276 horsepower and 360 pound-feet of torque. While these numbers may not sound impressive today, they were astonishing during the Regal Grand National’s production run. A 1986 test by Car and Driver showed the Grand National was capable of a 0-60 mph run of 4.9 seconds, better than the Porsche 944 Turbo (6.0 seconds), the Porsche 928S (5.7 seconds), the Ferrari Testarossa (5.0 seconds) and even the Lamborghini Countach (5.1 seconds). To say that the Grand Nation and GNX models have become collectors’ items is a gross understatement; in fact, the cars have achieved cult status, and a new documentary called Black Air tells their irresistible story. If you have a thing for muscle cars, this movie belongs in your collection, and it will be a welcome gift for any gear head friends, too. 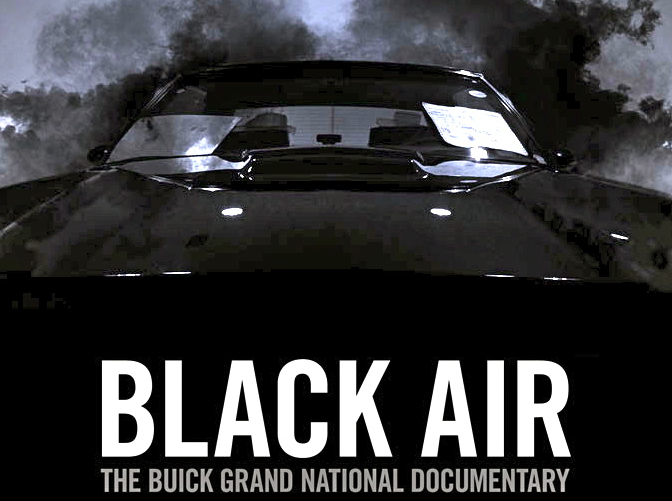 You won’t find it in stores, so head on over to the Black Air web page to place your order.